Theophanes the Confessor first mentioned the name Varna, as the city came to be known with the Slavic conquest of the Balkans in the 6th to 7th century. The name could be of Varangian origin, as Varangians had been crossing the Black Sea for many years, reaching Constantinople in the early Middle Ages. In Swedish, the meaning of värn is "shield, defense" – hence Varna could mean "defended, fortified place". The name may be older than that; perhaps it might derive from the Proto-Indo-European root *u̯er- "to flow, wet, water, river" (cf. Varuna), or from Proto-Slavic root varn "black", or from Iranian bar or var "camp, fortress" (see also Etymological list of provinces of Bulgaria). According to Theophanes, in 680 Asparukh, the founder of the First Bulgarian Empire, routed an army of Constantine IV near the Danube delta and, pursuing it, reached the so-called Varna near Odyssos [sic] and the midlands thereof (τὴν λεγομένην Βάρναν, πλησίον Ὀδυσσοῦ). Perhaps the new name applied initially to an adjacent river or lake, a Roman military camp, or an inland area, and only later to the city itself. By the late 10th century, the name Varna was established so firmly that when Byzantines wrestled back control of the area from the Bulgarians around 975, they kept it rather than restoring the ancient name Odessos. The latter is often said to be of Carian origin, though no modern scholarship supports this. Varna Peninsula on Livingston Island in the South Shetland Islands, Antarctica is named after Varna. Varna, Illinois, a small town of 400 people, was named in this city's honour. The War of Varna was going on at the time. The settlement and district centre of Varna in the Chelyabinsk Oblast, Russia is named in commemoration of the taking of Varna by the Russian army during the 1828–1829 Russo-Turkish War. Varna Drive, in Toronto, Canada, is named after Varna. There is also a hamlet in southern Ontario (Bluewater County) named Varna. Prehistoric settlements best known for the eneolithic necropolis (mid-5th millennium BC radiocarbon dating), a key archaeological site in world prehistory, eponymous of old European Varna culture and internationally considered the world's oldest large find of gold artifacts, existed within modern city limits. In the wider region of the Varna lakes (before the 1900s, freshwater) and the adjacent karst springs and caves, over 30 prehistoric settlements have been unearthed with the earliest artefacts dating back to the Middle Paleolithic or 100,000 years ago. Since late Bronze Age (XIII-XII c. BC) the area around Odessos had been populated with Thracians. During IX-VII c. BC local Thracians had active commercial and cultural contacts with people from Anatolia, Thessaly, Caucasus and the Mediterranean Sea. These links were reflected in some local productions, for example, forms of bronze fibula of the age, either imported or locally made. There is no doubt that interactions occurred mostly by sea and the bay of Odessos is one of the places where the exchanges took place. Some scholars consider that during the 1st millennium BC, the region was also settled by the half-mythical Cimmerians. An example of their, probably accidental, presence, is the tumulus dated VIII-VII c. BC found near Belogradets, Varna Province. The region around Odessos was densely populated with Thracians long before the coming of the Greeks on the west seashore of the Black Sea. Pseudo-Scymnus writes: “...Around the city [Odessos] lives the Thracian tribe named Crobises.” This is also evidenced by various ceramic pottery, made by hand or by a Potter's wheel, bronze ornaments for horse-fittings and iron weapons, all found in Thracian necropolises dated VI-IV c. BC near the villages of Dobrina, Kipra, Brestak and other, all in Varna Province. The Thracians in the region were ruled by kings, who entered into unions with the Odrysian kingdom, Getae or Sapaeans - large Thracian states existing between V-I c. BC. Between 336-280 BC these Thracian states along with Odessos were conquered by Alexander the Great. Archaeological findings in the past years have indicated that the population of North-East Thrace was very diverse, including the region around Odessos. It has been found that during VI-IV c. BC the region was populated with Scythians, who normally inhabit the central Eurasian Steppe (South Russia and Ukraine) and partly the area south of river Istros (the Thracian name of lower Danube). Characteristic for their culture weapons and bronze objects are found all over the region. Scythian horse ornaments are produced in a stylish style, called “animal style”, which is very close to the Thracian style, a possible explanation for the frequent mixture of both folks in north-eastern Thrace. Many bronze artefacts give testimony for such process, for example, applications and front plates for horse heads, as well as moulds for such products in nearby and more distanced settlements. Since the IV c. BC the region had been populated by more Getae, which is a Thracian tribe populating both shores around the Danube Delta. Celts started populating the region after their invasion of the Balkan peninsula in 280 BC. All over North-East Bulgaria and even near Odessos were found a significant number of bronze items with Celtic ornaments and typical weapons, all quickly adopted by Thracians. Arkovna, 80 km near Odessos, was probably the permanent capital of Celts' last king Kavar (270/260-216/210 BC). Probably after the downfall of his kingdom, Celts blended with the greatly numbered Thracians in the country. Between II-I c. BC in present Dobrudja land between Dyonissopolis (Balchik) and Odessos were created many small Scythian states. Their “kings” minted their coins in mints located in cities on the west Black Sea coast, including Odessos. The Thracians in North-East Thrace seems to be underdeveloped compared to their counterparts in South Thrace. The people lived in two types of settlements: non-fortified, located in fertile lands near water sources and stone built fortresses in hard to reach mountain environment, where were usually located the kings’ residences. Thracians engaged in farming, wood processing, hunting and fishing. Among their art crafts is metal processing – especially weapons, excelling processing of bronze, making of bracelets, rings, Thracian type of fibulas, horse ornaments, arrowheads. Local goldsmiths used gold and silver to produce typical Thracian plate armour, ceremonial ornaments for the horses of the kings and the aristocracy, as well as valuable pateras and ritons. Despite ethnic diversity, numerous internal and external conflicts, and cultural differences, the populations of North-Eastern Bulgaria and the cities along the seashore have demonstrated stable tolerance to each other. Conservatism is easily noticed in ceramic items and in religion. The highest deity of all was the Thracian horseman, who had different names and functions in different places. Water-related deities were honoured as well, such as The Three Graces or the water Nymphs and Zalmoxis by the Getae. During the centuries, especially by the end of the Hellenistic period (II-I c. BC), Thracians adopted the more elaborated Hellenistic culture, thus acting as an intermediate for the continental Thracians. Odessos was included in the assessment of the Delian league of 425 BC. In 339 BC, it was unsuccessfully besieged by Philip II (priests of the Getae persuaded him to conclude a treaty) but surrendered to Alexander the Great in 335 BC, and was later ruled by his diadochus Lysimachus, against whom it rebelled in 313 BC as part of a coalition with other Pontic cities and the Getae. Shortly after 108 BC, Odessus recognized the suzerainty of Mithridates VI of Pontus. The Roman city, Odessus, first included into the Praefectura orae maritimae and then in 15 AD annexed to the province of Moesia (later Moesia Inferior), covered 47 hectares in present-day central Varna and had prominent public baths, Thermae, erected in the late 2nd century AD, now the largest Roman remains in Bulgaria (the building was 100 m (328.08 ft) wide, 70 m (229.66 ft) long, and 25 m (82.02 ft) high) and fourth-largest known Roman baths in Europe. Major athletic games were held every five years, possibly attended by Gordian III in 238 CE. Odessus was an early Christian centre, as testified by ruins of twelve early basilicas, a monophysite monastery, and indications that one of the Seventy Disciples, Ampliatus, follower of Saint Andrew (who, according to the Bulgarian Orthodox Church legend, preached in the city in 56 CE), served as bishop there. In 6th-century imperial documents, it was referred to as "holiest city," sacratissima civitas. In 442 CE, a peace treaty between Theodosius II and Attila was conducted at Odessus. In 513, it became a focal point of the Vitalian revolt. In 536, Justinian I made it the seat of the Quaestura exercitus ruled by a prefect of Scythia or quaestor Justinianus and including Lower Moesia, Scythia, Caria, the Aegean Islands and Cyprus; later, the military camp outside Odessus was the seat of another senior Roman commander, magister militum per Thracias. It has been suggested that the 681 AD peace treaty with the Byzantine Empire that established the new Bulgarian state was concluded at Varna and the first Bulgarian capital south of the Danube may have been provisionally located in its vicinity—possibly in an ancient city near Lake Varna's north shore named Theodorias (Θεοδωριάς) by Justinian I—before it moved to Pliska 70 kilometres (43 miles) to the west. Asparukh fortified the Varna river lowland by a rampart against a possible Byzantine landing; the Asparuhov val (Asparukh's Wall) is still standing. Numerous 7th-century Bulgar settlements have been excavated across the city and further west; the Varna lakes north shores, of all regions, were arguably most densely populated by Bulgars. It has been suggested that Asparukh was aware of the importance of the Roman military camp (campus tribunalis) established by Justinian I outside Odessos and considered it (or its remnants) as the legitimate seat of power for both Lower Moesia and Scythia. Control changed from Byzantine to Bulgarian hands several times during the Middle Ages. In the late 9th and the first half of the 10th century, Varna was the site of a principal scriptorium of the Preslav Literary School at a monastery endowed by Boris I who may have also used it as his monastic retreat. The scriptorium may have played a key role in the development of Cyrillic script by Bulgarian scholars under the guidance of one of Saints Cyril and Methodius' disciples. Karel Škorpil suggested that Boris I may have been interred there. The synthetic culture with Hellenistic Thracian, Roman, as well as eastern—Armenian, Syrian, Persian—traits that developed around Odessos in the 6th century under Justinian I, may have influenced the Pliska-Preslav culture of the First Bulgarian Empire, ostensibly in architecture and plastic decorative arts, but possibly also in literature, including Cyrillic scholarship. In 1201, Kaloyan took over the Varna fortress, then in Byzantine hands, on Holy Saturday using a siege tower, and secured it for the Second Bulgarian Empire. By the late 13th century, with the Treaty of Nymphaeum of 1261, the offensive-defensive alliance between Michael VIII Palaeologus and Genoa that opened up the Black Sea to Genoese commerce, Varna had turned into a thriving commercial port city frequented by Genoese and later also by Venetian and Ragusan merchant ships. The first two maritime republics held consulates and had expatriate colonies there (Ragusan merchants remained active at the port through the 17th century operating from their colony in nearby Provadiya). The city was flanked by two fortresses with smaller commercial ports of their own, Kastritsi and Galata, within sight of each other, and was protected by two other strongholds overlooking the lakes, Maglizh and Petrich. Wheat, animal skins, honey and wax, wine, timber and other local agricultural produce for the Italian and Constantinople markets were the chief exports, and Mediterranean foods and luxury items were imported. The city introduced its own monetary standard, the Varna perper, by the mid-14th century; Bulgarian and Venetian currency exchange rate was fixed by a treaty. Fine jewellery, household ceramics, fine leather and food processing, and other crafts flourished; shipbuilding developed in the Kamchiya river mouth. 14th-century Italian portolan charts showed Varna as arguably the most important seaport between Constantinople and the Danube delta; they usually labelled the region Zagora. The city was unsuccessfully besieged by Amadeus VI of Savoy, who had captured all Bulgarian fortresses to the south of it, including Galata, in 1366. In 1386, Varna briefly became the capital of the spinoff Principality of Karvuna, then was taken over by the Ottomans in 1389 (and again in 1444), ceded temporarily to Manuel II Palaeologus in 1413 (perhaps until 1444), and sacked by Tatars in 1414. In the early 19th century, many local Greeks joined the patriotic organisation Filiki Eteria. Αt the outbreak of the Greek War of Independence (1821) revolutionary activity was recorded in Varna. As a result local notables that participated in the Greek national movement were executed by the Ottoman authorities, while others managed to escape to Greece and continue their struggle. In 1962, the 15th Chess Olympiad, also known as the World Team Championship, was here. In 1969 and 1987, Varna was the host of the World Rhythmic Gymnastics Championships. From 30 September to 4 October 1973, the 10th Olympic Congress took place in the Palace of Culture and Sports. Varna became a popular resort for Eastern Europeans, who were barred from travelling to the west until 1989. One of them, the veteran German Communist Otto Braun died while on a vacation in Varna in 1974. The urban area has in excess of 20 km (12 mi) of sand beaches and abounds in thermal mineral water sources (temperature 35–55 °C or 95–131 °F). It enjoys a mild climate influenced by the sea with long, mild, akin to Mediterranean, autumns, and sunny and hot, yet considerably cooler than Mediterranean summers moderated by breezes and regular rainfall. Although Varna receives about two thirds of the average rainfall for Bulgaria, abundant groundwater keeps its wooded hills lush throughout summer. The city is cut off from north and north-east winds by hills along the north arm of the bay, yet January and February still can be bitterly cold at times, with blizzards. Black Sea water has become cleaner after 1989 due to decreased chemical fertiliser in farming; it has low salinity, lacks large predators or poisonous species, and the tidal range is virtually imperceptible. The city lies 470 km (292 mi) north-east of Sofia; the nearest major cities are Dobrich (45 km or 28 mi to the north), Shumen (80 km or 50 mi to the west), and Burgas (125 km or 78 mi to the south-west). Varna is the administrative centre for Varna county (област, oblast, area). On the other hand, Varna municipality (община, obshtina, borough) comprises the city and five suburbs: Kamenar, Kazashko, Konstantinovo, Topoli, and Zvezditsa, served by the city public transport system. The municipal chief executive is the Mayor (кмет, kmet: the word is cognate with count). Since the end of the de facto one-party communist rule in 1990, there have been four mayors: Voyno Voynov, SDS (Union of Democratic Forces), ad interim, 1990–91; Hristo Kirchev, SDS, 1991–99; Kiril Yordanov, independent, 1999–2013; Ivan Portnih, GERB, 2013–present. The City council (общински съвет, obshtinski savet, the 51-member legislature) is the city's legislative body composed of 51 members. As of January 2015 it consists of: centre-right Citizens for European Development of Bulgaria (GERB), 22 council members; centre-right/right-wing Reformist Bloc Patriotic Front (Bulgaria), 6; centre-left Bulgarian Socialist Party (BSP), 5; "Varna" Coalition including Attack, 4; other smaller parties, groups and independent members, 14. The Council chairman is Todor Balabanov (GERB). Varna regional court is one of the busiest courts in the country. The city also headquarters the district, administrative, and military court, and a court of appeal as well as regional, military, and appellate prosecutor's offices. The city is divided by law into five boroughs (райони, rayoni), each with its mayor and council: Asparuhovo, Mladost, Odessos (the historic centre), Primorski (the largest one with official population of 102,000 also comprising the seaside resorts north of the city centre), and Vladislav Varchenchik. The boroughs are composed of various districts with distinctive characters and histories. The villages too have а mayor or a mayoral lieutenant (кметски наместник, kmetski namestnik). Varna was rumoured to be the hub of Bulgarian organized crime. Some sectors of the economy, including gambling, corporate security, tourism, real estate, and professional sports, were believed to be controlled in part by business groups with links to Communist-era secret services or the military. However, it is noted that in Varna, the so-called mutri (Mafia) presence was by no means as visible as it was in smaller coastal towns and resorts. Over the last couple of years, crime has subsided, which is said to have contributed to Varna being named as Bulgaria's Best City to Live In (2007); in 2007, the regional police chief was promoted to the helm of the national police service. There are consulates of the following countries: Czech Republic, Denmark, Finland, France, Germany, Hungary, Indonesia, Israel, Italy, Norway, Russia - Consulate General, South Africa, Spain, Sweden, Ukraine. The first population data date back to the mid-17th century when the town was thought to have about 4,000 inhabitants, while the first population census in 1881 counted 24,555. According to the 1883 census, it was the second-largest in Bulgaria after Ruse. Thereafter Varna became Bulgaria's third-largest city and kept this position steadily for the next 120 years, while different cities took turns in the first, second, and fourth places. In January 2012, the city of Varna has a population of 334 781, which makes it the third largest city in Bulgaria, while the Varna Municipality along with the legally affiliated adjacent villages had 343 643 inhabitants. The unofficial metro area (including Varna municipality and adjacent parts of Aksakovo, Avren, Beloslav, and Devnya municipalities, and excluding adjacent parts of Dobrich Province) has an estimated population of 475,000. Here, the "Varna-Devnya-Provadiya agglomeration" is not considered identical to the "Varna metro area". Varna is one of the few cities in Bulgaria with a positive natural growth (6300 births vs. 3600 deaths in 2009) and new children's day care centers opening (6 expected in 2009). Since December 2006, various sources, including the Bulgarian National Television, national newspapers, research agencies, the mayor's office, and local police, claim that Varna has a population by present address of over 500,000, making it the nation's second-largest city. Official statistics according to GRAO and NSI, however, have not supported their claims. In 2008, Deputy Mayor Venelin Zhechev estimated the actual population at 650,000. In December 2008, Mayor Kiril Yordanov claimed the actual number of permanent residents was 970,000, or that there were 60% unregistered people. 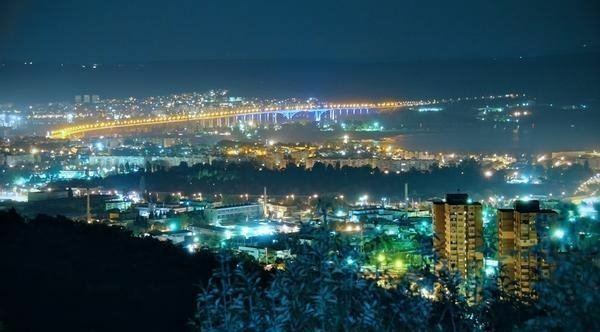 In January 2009, the Financial Times said that "Varna now draws about 30,000 new residents a year." The census, carried out in February, 2011, enumerated 334,870 inhabitants. If unregistered population plus the commuters from the adjacent municipalities are taken into consideration, the real population of the city during a work day reaches 400,000. Varna attracts 2 to 3 million tourists a year, as the holidaymakers may reach as many as 200,000 daily during the high season. Thus, there are about 600,000 people in the city in July and August. Most Varnians (варненци, varnentsi) are ethnic Bulgarians (94%). Ethnic Turks rank second with 3%, however by 2009, Russians and other Russian-speaking recent immigrants with no Bulgarian citizenship, estimated at over 20,000, perhaps have outnumbered them, additionally there is a growing number of new Asian and African immigrants and corporate expatriates. There is a comparable number of Gypsies (1% of the population) mostly in three distinctive and largely impoverished ghetto neighbourhoods: Maksuda; Rozova Dolina in the Asparuhovo district; and Chengene Kula in the Vladislavovo district, while Varna is spearheading several programs on Gypsy integration. Armenians, Greeks, Jews, and other long-standing ethnic groups are also present although in much smaller numbers. At the Liberation of Bulgaria, ethnic Bulgarians were 3,500 of the total population of 21,000 inhabitants. According to the 1881 census, the Turkish language was a mother tongue for 8903 people (36,25%), for 6721 was the Bulgarian (27,36%), for 5,367 was Greek (21,85%) and Tatar for 837 (3,41%). By ethnic group, ethnic Bulgarians were then 6,714, of whom 4478 men and 2236 women. With the departure of most Turks and Greeks and the arrival of Bulgarian refugees and settlers from inland, Northern Dobruja, Bessarabia, and Asia Minor, and later, of refugees from Macedonia, Eastern Thrace and Southern Dobruja following the Second Balkan War and the First World War, ethnic diversity gave way to Bulgarian predominance, although sizeable minorities of Gagauz, Armenians, and Sephardic Jews remained for decades. In Varna Municipality 290,780 declared as Bulgarians, 11,089 as Turks, 3,535 as Gypsies and 34,758 did not declare their ethnic group. Economically, Varna is among the best-performing and fastest-growing Bulgarian cities. In 2016 the unemployment rate is 3.5% and the average salary is nearly 900lv (450€) per month. The economy is service-based, with 61% of net revenue generated in trade and tourism, 16% in manufacturing, 14% in transportation and communications, and 6% in construction. Financial services, particularly banking, insurance, investment management, and real-estate finance are booming. As of December 2008, the fallout of the global financial crisis has not yet been hard. The city is the easternmost destination of Pan-European transport corridor 8 and is connected to corridors 7 and 9 via Rousse. Major industries traditionally include transportation (Navibulgar, Port of Varna, Varna Airport), distribution (Logistics Park Varna), shipbuilding (see also Oceanic-Creations), ship repair, and other marine industries. In June 2007, Eni and Gazprom disclosed the South Stream project whereby a 900-kilometre-long (559-mile) offshore natural gas pipeline from Russia's Dzhubga with annual capacity of 63 billion metres (207 billion feet) was planned to come ashore at Varna, possibly near the Galata offshore gas field, en route to Italy and Austria. Nevertheless, the project was stopped due to the EU-Russia conflict. With the nearby towns of Beloslav and Devnya, Varna forms the Varna-Devnya Industrial Complex, home to some of the largest chemical, thermal power, and manufacturing facilities in Bulgaria, including Varna Thermal Power Plant and Sodi Devnya, the two largest cash privatization deals in the country's recent history. There are also notable facilities for radio navigation devices, household appliances, security systems, textiles, apparel, food and beverages, printing, and other industries. Some manufacturing veterans are giving way to post-industrial developments: an ECE shopping mall is taking the place of the former VAMO diesel engine works and the Varna Brewery is being replaced by a convention centre. Tourism is of foremost importance with the suburban beachfront resorts of Golden Sands, Riviera Holiday Club, Sunny Day, Saints Constantine and Helena attracting around 1 million foreign tourists in 2016. The resorts received considerable internal and foreign investment in the late 1990s and early in the first decade of the 21st century, and are environmentally sound, being located reassuringly far from chemical and other smokestack industries. Varna is also Bulgaria's only international cruise destination with 36 cruises for 2014 and a major international conference and SPA centre. The highest building in the city is Interhotel Cherno More at 72.2 meters. Real estate boomed in 2003–2008 with some of the highest prices in the country, by fall 2007 surpassing Sofia. In 2017 Varna is second in terms of construction projects. In retail, the city not only has the assortment of international big-box retailers, now found in larger Bulgarian cities, but boasts made-in-Varna national chains with locations spreading over the country such as retailer Piccadilly, the famous restaurant chain Happy and pharmacy chain Sanita. Mall Varna and Grand Mall are the two largest shopping centres in Varna, turning the city into an attractive shopping destination. The city has many of the finest eateries in the nation and abounds in ethnic food places. There is a plethora of Internet cafes and many places, including parks, are covered by free public wireless internet service. 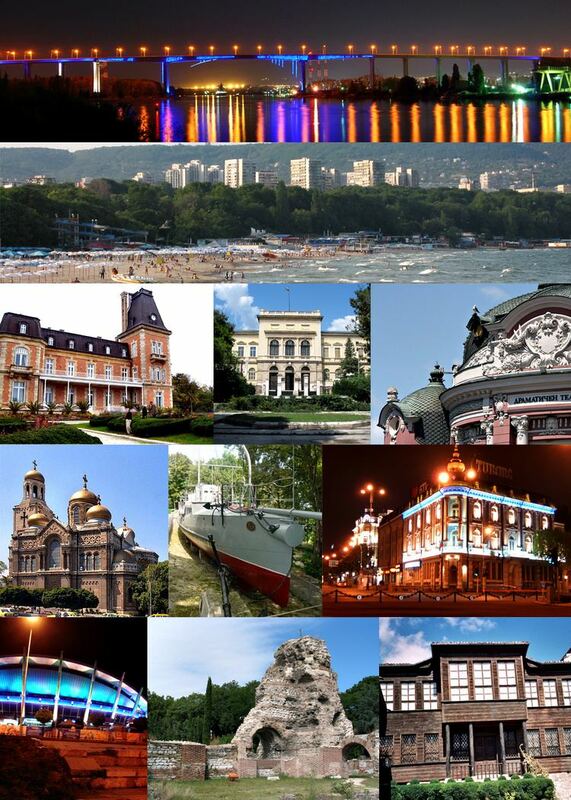 Varna is connected to other Black Sea cities by the submarine Black Sea Fibre Optic Cable System. 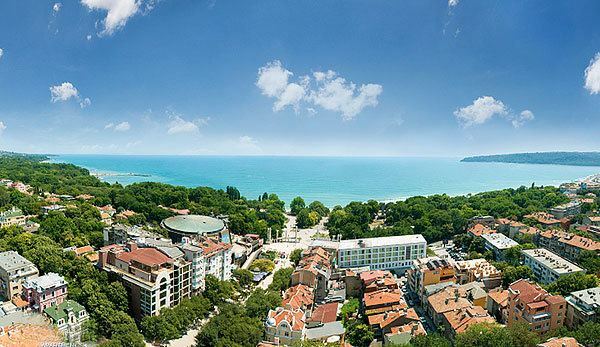 In 2016 Varna won the vote of Darik Radio listeners and was awarded "Best city to live" and "Protector of History". Major roads include European roads Varna-Bucharest E70, Varna-Istanbul E87 and Varna-Constanta, Romania; national motorways Varna-Sofia A2 (Hemus motorway) and Varna-Burgas A5 (Cherno More motorway). There are bus routes to many Bulgarian and international cities from two bus terminals. There are also train, ferry and roll-on/roll-off services to Odessa, Ukraine, Port Kavkaz, Russia, Poti and Batumi, Georgia. The public transport system is managed by "City Transport Varna" and has been recently modernised. Ticket prices are reasonable: from 1lv (0.50€) for city zones to 3lv (1.50€) for routes Varna-Golden Sands. Along with local buses, trolleybuses, fixed-route minibus lines, there is also a large fleet of taxis. The waterfront promenade is lined by a string of beach clubs offering a vibrant scene of rock, hip-hop, Bulgarian and American-style pop, techno, and chalga. 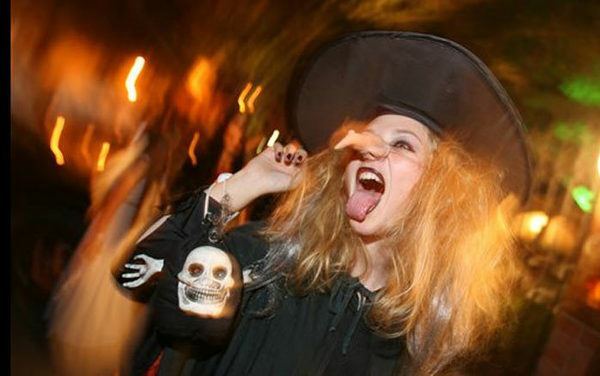 In October 2006, The Independent dubbed Varna "Europe's new funky-town, the good-time capital of Bulgaria". The city enjoys a nationwide reputation for its rock, hip-hop, world music, and other artists, clubs, and related events such as July Morning and international rock and hip-hop (including graffiti) venues. Tourist shopping areas include the boutique rows along Prince Boris Blvd (with retail rents rivalling Vitosha Blvd in Sofia) and adjacent pedestrian streets, as well as the large mall and big-box cluster in the Mladost district, suitable for motorists. Two other shopping plazas, Piccadilly Park and Central Plaza, are conveniently located to serve tourists in the resorts north of the city centre, both driving and riding the public transit. ATMs and 24/7 gas stations with convenience stores abound. Food markets, among others, include supermarket chains Billa, Kaufland and Metro. In stores and restaurants, credit cards are normally accepted. There is a number of farmers markets offering fresh local produce; the Kolkhozen Pazar, the largest one, also has a fresh fish market but is located in a crowded area virtually inaccessible for cars. The remains of a large 4th–5th-century stronghold basilica in Dzhanavara Park just south of town are becoming a tourist destination with some exquisite mosaics displayed in situ. The remains of another massive 9th-century basilica adjacent to the scriptorium at Boris I's Theotokos Panagia monastery are being excavated and conserved. A 4th–5th-century episcopal basilica north of the Thermae is also being restored. There is also a number of newer Orthodox temples; two, dedicated to apostle Andrew and the local martyr St. Procopius of Varna, are currently under construction. Many smaller Orthodox chapels have mushroomed in the area. In early 2009, Vasil Danev, leader of the ethnic Organization of the United Roma Communities (FORO), said local Roma would also erect an Orthodox chapel. Two old mosques (one is open) have survived since Ottoman times, when there were 18 of them in town, as have two once stately but now dilapidated synagogues, a Sephardic and an Ashkenazic one, the latter in Gothic style (it is undergoing restoration). A new mosque was recently added in the southern Asparuhovo district serving the adjacent Muslim Roma neighbourhood. By 1878, Varna was an Ottoman city of mostly wooden houses in a style characteristic of the Black Sea coast, densely packed along narrow, winding lanes. It was surrounded by a stone wall restored in the 1830s with a citadel, a moat, ornamented iron gates flanked by towers, and a vaulted stone bridge across the River Varna. The place abounded in pre-Ottoman relics, ancient ruins were widely used as stone quarries. Today, very little of this legacy remains; the city centre was rebuilt by the nascent Bulgarian middle class in late 19th and early 20th centuries in Western style with local interpretations of Neo-Renaissance, Neo-Baroque, Neoclassicism, Art Nouveau and Art Deco (many of those buildings, whose ownership was restored after 1989, underwent renovations). Stone masonry from demolished city walls was used for the cathedral, the two elite high schools, and for paving new boulevards. The middle class built practical townhouses and coop buildings. 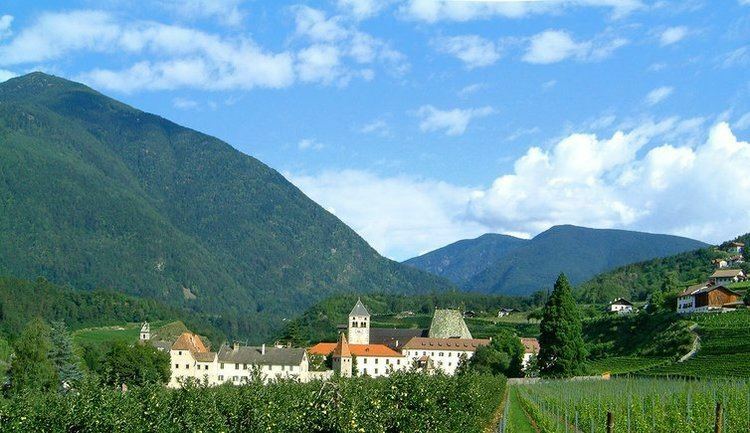 Elegant mansions were erected on main boulevards and in the vineyards north of town. A few industrial working-class suburbs (of one-family cottages with small green yards) emerged. Refugees from the 1910s' wars also settled in similar poorer yet vibrant neighbourhoods along the city edges. During the rapid urbanisation of the 1960s to the early 1980s, large apartment complexes sprawled onto land formerly covered by small private vineyards or agricultural cooperatives as the city population tripled. Beach resorts were designed mostly in a sleek modern style, which was somewhat lost in their recent more lavish renovations. Modern landmarks of the 1960s include the Palace of Culture and Sports, built in 1968. With the country's return to capitalism since 1989, upscale apartment buildings mushroomed both downtown and on uptown terraces overlooking the sea and the lake. Varna's vineyards (лозя, lozya), dating back perhaps to antiquity and stretching for miles around, started turning from mostly rural grounds dotted with summer houses or villa into affluent suburbs sporting opulent villas and family hotels, epitomized by the researched postmodernist kitsch of the Villa Aqua. With the new suburban construction far outpacing infrastructure growth, ancient landslides were activated, temporarily disrupting major highways. As the number of vehicles quadrupled since 1989, Varna became known for traffic jams; parking on the old town's leafy but narrow streets normally takes the sidewalks. At the same time, stretches of shanty towns, more befitting Rio de Janeiro, remain in Romani neighbourhoods on the western edge of town due to complexities of local politics. The beach resorts were rebuilt and expanded, fortunately without being as heavily overdeveloped as were other tourist destinations on the Bulgarian Black Sea coast, and their greenery was mostly preserved. New modern office buildings started reshaping the old centre and the city's surroundings. In 2016, Varna was home to over 37,000 students. University of Economics, founded on 14 May 1920 as the Higher School of Commerce, is the second oldest Bulgarian university after Sofia University. It is the first private one—underwritten by the Varna Chamber of Commerce and Industry. Prof. Tsani Kalyandzhiev, University of Zurich alumni and a research chemist in the United States, was university's first Rector (Principal). Nikola Vaptsarov Naval Academy is the oldest technical educational institution in Bulgaria. The institution started as a Maritime School, established in 1881 in Ruse. After 1900 the now called Engineering School to the Fleet was moved to Varna and subsequently named as His Majesty's Naval Academy in 1942. In 1949, the Naval School adopted as its patron Nikola Vaptsarov, a poet, who graduated the school in 1926, and received the name N. Y. Vaptsarov People's Naval School. Medical University Varna was established in 1961 and is a recognised abroad as a leading institution for quality medical education. The university has attracted students from 44 countries and is partnering with 85 foreign institutions across the globe. Technical University of Varna was found in 1962 and was first established as Mechanical-Electrical Engineering Institute. Chernorizets Hrabar Varna Free University, found in 1991, was the first private university after 1989. It specialises in International Economics and Administration, Law, and Architecture. There are four BAS research institutes: Oceanology, Fisheries, Aero and Hydrodynamics, Metallography. The Institute of Oceanology (IO-BAS) has been active in Black Sea deluge theory studies and deepwater archaeology in cooperation with Columbia University, MIT, UPenn, and National Geographic. In Bram Stoker's 1897 novel Dracula Varna was Count Dracula's "transportation hub" — the point of origin of the ship Demeter, the initial destination of the Czarina Catherine, and the place where the vampire's annihilation was planned to be carried out. In the Mechanic: Resurrection film, Tommy Lee Jones's character Max Adams lives in Varna and the headquarters of his criminal organization is based there. In Andrei Gulyashki's novel Avakoum Zahov versus 07 British spy 07 kidnapped Soviet physicist Konstantin Trofimov from a villa in Varna. In Geoffrey Trease's novel The Hills of Varna "the monastery at Varna" is a fictional place in the Balkans, not related to the real city. In All the Year Round (Vol. 30), 1873 Charles Dickens mentioned modern Varna when he visited the city as a war correspondent in the Crimean War in 1854. In Garth Greenwell's 2016 novel What Belongs to You Varna is the hometown of Mitko, the narrator's love interest, and a pivotal scene takes place in a hotel there. As early as the 1880s, numerous daily and weekly newspapers were published in Bulgarian and several minority languages. Local newspapers include: Cherno More, Chernomorie, Narodno Delo, Pozvanete, Varna (weekly), Vlastta (e-newspaper), Varna Utre. The national newspapers' local editions are 24 Chasa More, Morski Dnevnik, Morski Trud. Morski Sviat and Prostori are the two major magazines published in Varna. In the late 19th century, Varna was considered the birthplace of Bulgarian football with a Swiss gym teacher, Georges de Regibus, coaching the first varsity team at the men's high school. Football is the biggest spectator sport with two rival clubs in the nation's top professional league, Cherno More (the Sailors), founded in 1913 and four times national champion, including the first championship in 1925, and Spartak (the Falcons), founded in 1918, one time champion and participant in the European Cup Winners' Cup in 1983, when it reached the second knockout round and played Manchester United F.C..
By 2018 Varna should have a redevloped 1950's "Yuri Gagarin" stadium in accordance to UEFA/FIFA specifications. Modern Bulgarian swimming dates to 18 May 1923 when the Bulgarian Public Marine Union was established in Varna. The organisation was the first to manage and administer swimming as a sport in Bulgaria. Famous Bulgarian swimmers from Varna are Aleksi Aleksiev (aka the Pope), Milko Rachev (aka Brother Milko), Maria Nikolova, Julian Rusev. Some of the leading swimming clubs are PSK Cherno More, KPS Asteri, KPS Torpedo, SKPS Albatros and KPS Cherno More. "Julian Rusev" pool is the second oldest 50m Olympic-size pool in the country, built in 1964 and located on the South beach in Varna. After a major redevelopment in 2008 council owned entity was established named Swimming Complex "Primorski". The 50m pool, now in line with FINA pool criteria, was adjacent to the waterpolo and diving pool "Aleksi Aleksiev". Subsequently, a third 25m covered pool was built next to the diving pool along with a SPA & gym centre. There are three other swimming pools in the city. On the first Sunday of August takes place the marathon "Galata - Varna", the oldest Bulgarian swimming marathon. It dates back to 1939 and it attracts nearly 300 national and foreign swimmers. Bulgaria greatest swimmer Petar Stoychev holds the all-time record of 46min for swimming the 4,5 km open water distance, crossing the Varna Bay. Men's basketball (Euroins Cherno More), women's volleyball, gymnastics, boxing, martial arts, sailing and tennis are also vibrant. A kart racing track and a hippodrome with a horseback riding school is located in the Vinitsa neighborhood. Another horse club is located just 10 minutes away from Varna in the nearby village of Kichevo. Asparuhov bridge is a major Bulgarian bungee jumping site managed by Club Adrenalin. Cricket has been most recently introduced by ex-pats from cricket playing nations to the city's sport scene. In August 2007 a new public leisure centre was opened in Mladost district. The track-field stadium consists of football, basketball and volleyball fields and is part of a larger complex of sport facilities for mini-golf, tennis, biking, mini-lakes and ice-skating. Other public leisure centres opened in the Sea Garden, Asparuhov Park and elsewhere. The number and range of gym and recreation clubs in Varna have increased in recent years, which reflects the healthy lifestyle of the average Varna citizens. In the region there are three golf courses - Lighthouse Golf Club, BlackSeaRama Golf & Villas and Thracian Cliffs Golf & Beach Resort. The three 18-hole golf courses are of professional quality, constructed in the region to the north of the city in the vicinity of Balchik and Kavarna. Varna also hosts international competitions, including world championships, and national events in several sports on a regular basis, including auto racing and motocross, openwater swimming marathons. Bulgarian national basketball and volleyball teams host their games, including FIVB Volleyball World League games, at the Palace of Culture and Sports. Varna athletes won 1 of the 3 medals for Bulgaria at the 2016 Summer Olympics and 4 of the 12 medals at the 2004 Summer Olympics.